U.S. expresses concern as nearly 1,800 drug suspects killed in Philippines. 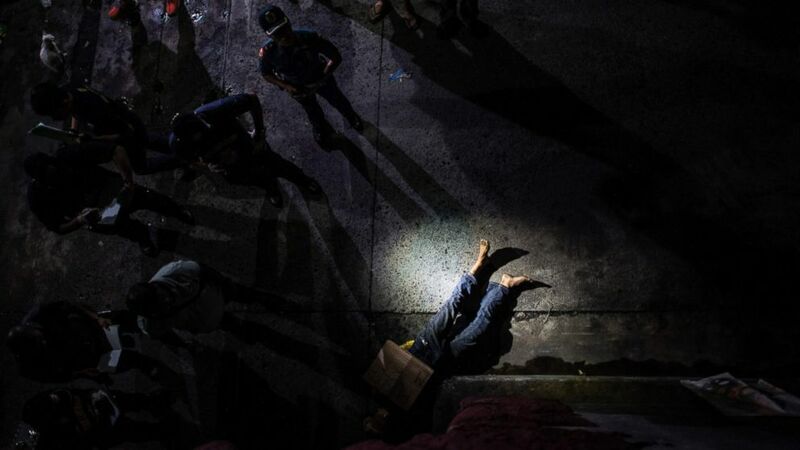 camera (Noel Celis/AFP/Getty Images) Police officers investigating the dead body of an alleged drug dealer in Manila, Philippines, July 8, 2016. United States officials said today they are "deeply concerned" over the recent government crackdown on illegal drugs in the Philippines that has led to an alarming number of extrajudicial killings. Law enforcement officials in the Philippines put the estimate at nearly 1,800 suspects. "The United States believes in the rule of law, due process, and respect for universal human rights, and that these principles promote long-term security," U.S. Department of State Deputy Spokesperson Mark Toner said. "We strongly urge the Philippines to ensure its law enforcement efforts comply with its human rights obligations," Toner added. The State Department's remarks come after the Philippines president bashed the United Nations and the U.S. in a late-night news conference over the weekend, and shortly after the U.S. ally's national police chief disclosed on Monday the number of deaths related to the crackdown on drug suspects was 1,779. 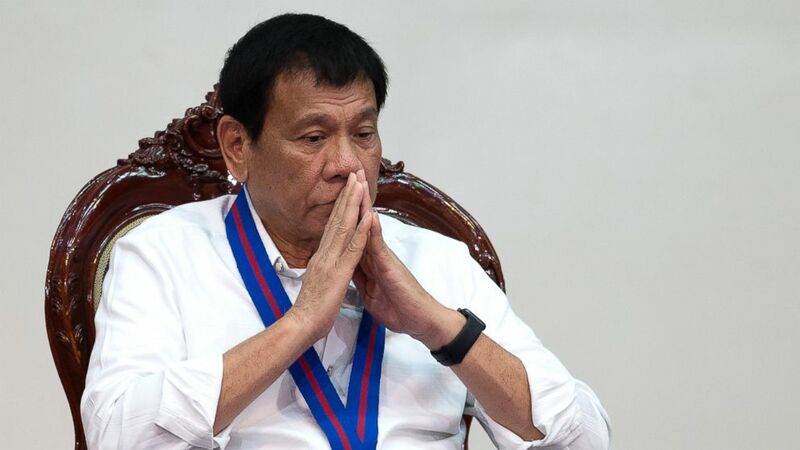 President Rodrigo Duterte threatened to withdraw the Philippines from the U.N. on Sunday in response to statements from top U.N. officials over the country's extrajudicial killings, according The Associated Press. (Noel Celis/Pool Photo via AP Photo) Philippine President Rodrigo Duterte attends during the 115th Police Service Anniversary at the Philippine National Police headquarters in Manila, Philippines, Aug. 17, 2016. Duterte's bizarre, profanity-laden, speech attacking the U.N. and the U.S. was quickly downplayed by Philippines Foreign Secretary Perfecto Yasay Jr., who told reporters Monday that Duterte was simply disappointed and over the criticism, and that he was hungry and tired when he threatened to leave the U.N., the AP reported. The Philippines National Police Chief Ronald dela Rosa told a Philippines Senate committee Monday that at least 1,779 drug suspects had been killed as part of a government-endorsed crackdown on the country's illegal drug trade. Dela Rosa said that 712 of those deaths were in the hands of police, and the rest were under unclear circumstances, possibly by vigilantes, according to the AP. Agnes Callamard, the U.N. Special Rapporteur on summary executions, issued a statement last week strongly condemning the extrajudicial deaths in the government drug crackdown. “Claims to fight illicit drug trade do not absolve the Government from its international legal obligations and do not shield State actors or others from responsibility for illegal killings,” Callamard said in a statement. “The State has a legally binding obligation to ensure the right to life and security of every person in the country, whether suspected of criminal offences or not." Puras also added that drug dependency should be treated as a public health issue.